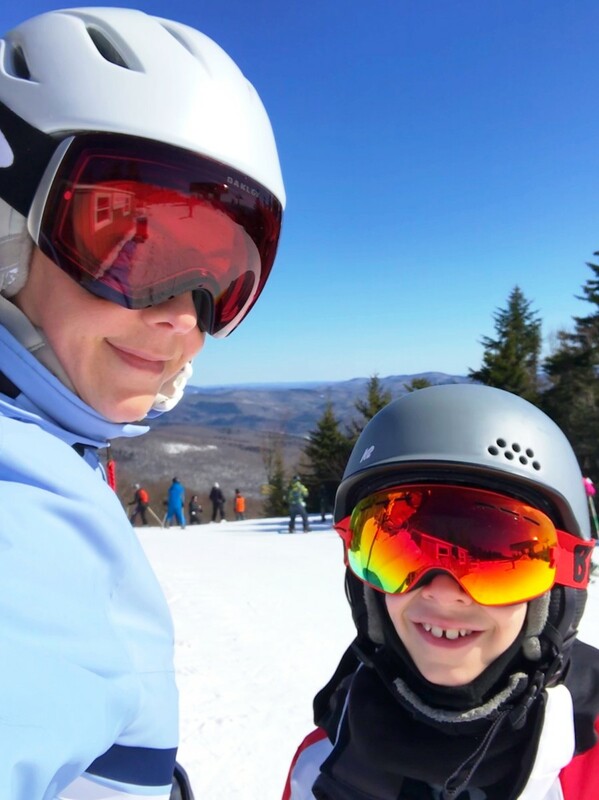 Easter at the family-friendly, family-operated, Okemo Mountain in Ludlow, Vermont. LOCATION: A four-season, family-operated resort, Okemo Mountain is approximately 250 miles from Manhattan in Ludlow, south-central Vermont, a manageable 4-5 hour drive. With three kids, including a 10-month old in tow, it took us a bit longer with the necessary pit stops but the drive is easy and there are an abundance of pleasant places to stop along the way. Okemo also offers shuttle service from two of its local transportation hubs: the Southern Vermont Regional Airport and the Rutland Amtrak Terminal in Rutland, VT. We were advised to stop at The Naismith Memorial Basketball Hall of Fame in Springfield, Massachusetts, and it was a huge hit with the boys (thanks, Edina!). SLOPESIDE ACCOMMODATIONS: Our home away from home for the weekend was the Jackson Gore Inn, a slope-side village with everything we needed just steps away. I was instantly impressed by the service at Okemo. A bell-man greeted us as we pulled up and unloaded all of our belongings from the car while we checked in and brought them up to our room. After a long car ride with three antsy kids, it was nice to have an extra set of hands! When it came time to leave, they packed us back up too. Our room was a spacious two-bedroom suite with a third bedroom loft, living and dining areas, and a kitchen. It&apos;s always our preference to have as much space as possible with the kids and the option to make meals like breakfast right in the room. We felt very comfortable and everything at the Inn was clean and tasteful. 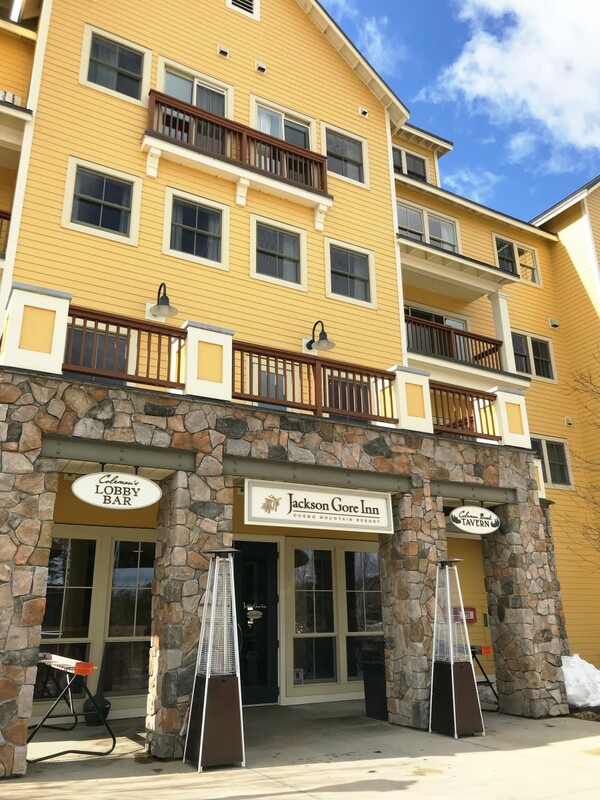 You cannot beat the convenience of slope-side accommodations with ski school check-in, a ski valet, restaurants, fire pits, and a high-speed lift just steps from your room. 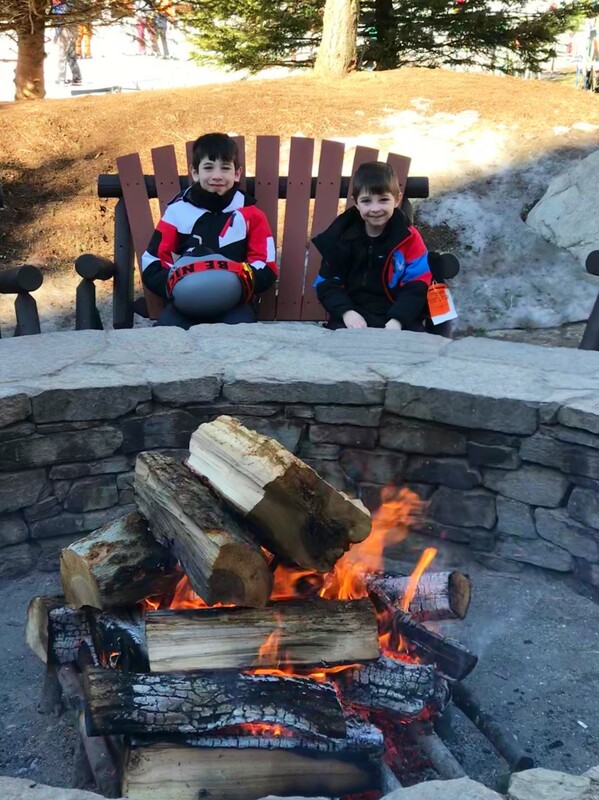 WINTER ACTIVITIES: Our trip was filled with fresh air and outdoor activities, exactly what our boys needed. The highlight of course, was skiing! Okemo has 20 lifts (5 high-speed) and 121 trails, evenly split between all levels. In early March, Okemo received 3-feet of natural snow in less than two weeks. Impressively, almost all of the trails and lifts were open to us and very well maintained. There are also 8 terrain parks on the mountain for more adventurous skiers and snowboarders. Sebastian was excited to show me the super pipe that he had skied while at ski school. That kind of variety isn&apos;t easy to come by and we could have easily spent a few more days exploring the mountain. One of my favorite things about spring skiing is that it&apos;s much less crowded than peak season. We found ourselves alone on the trails quite a bit and lift lines were minimal. As much as I like to kick back and relax after a day of skiing, it&apos;s not much of an option with little kids. 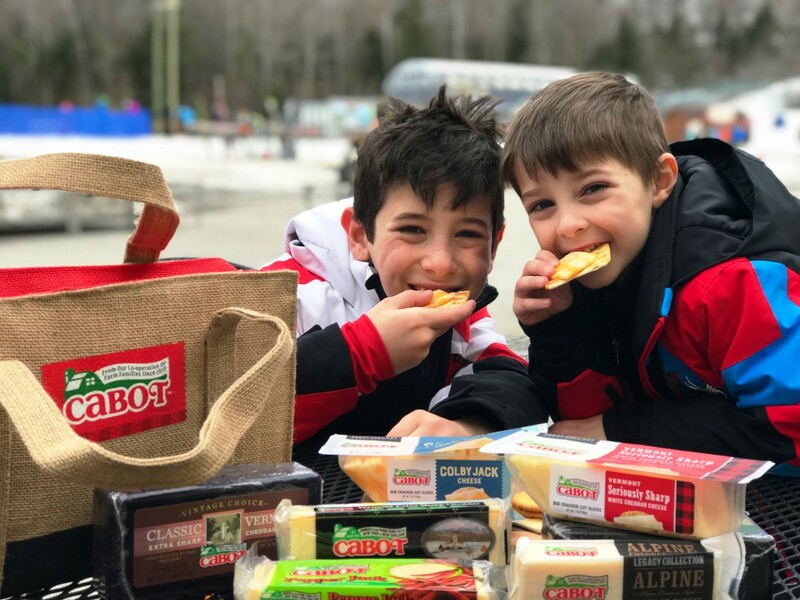 Fortunately, Okemo offers plenty of other engaging family activities in addition to skiing and snowboarding. Timber Ripper Mountain Coaster: A fun attraction that really caught our boys&apos; attention was the mountain coaster. It&apos;s over 3,000 feet through the alpine forest. While brisk, it satisfies the need for speed! 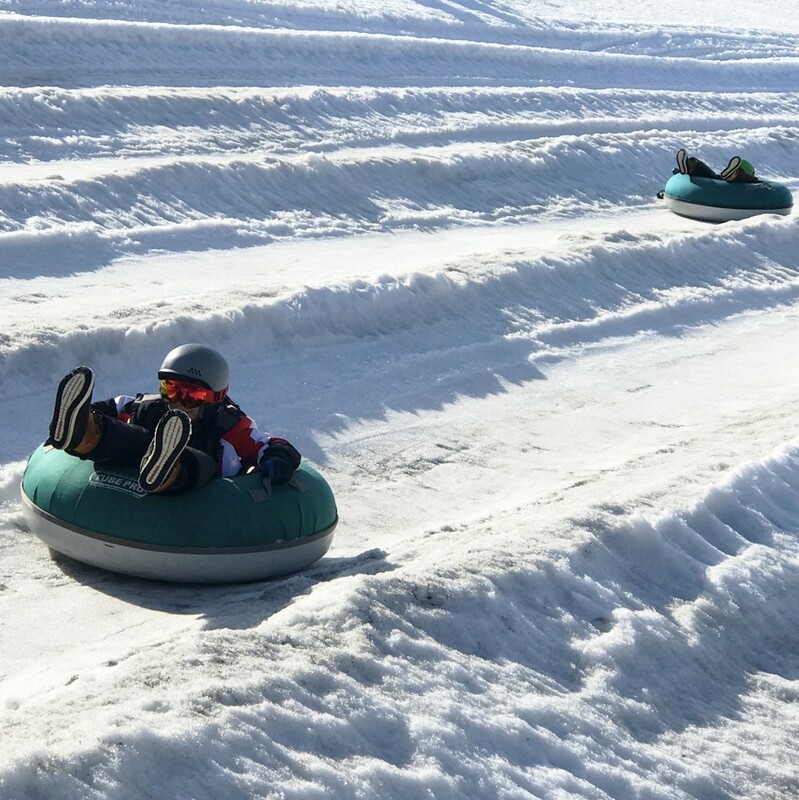 Snow Tubing: The four-lane tubing park is fun for the whole family. The boys rode for the entire 1-hour session. Hope you saw my Instastory with Leo howling! The Ice House: Okemo has a regulation-size hockey rink and recreational skating pavilion. 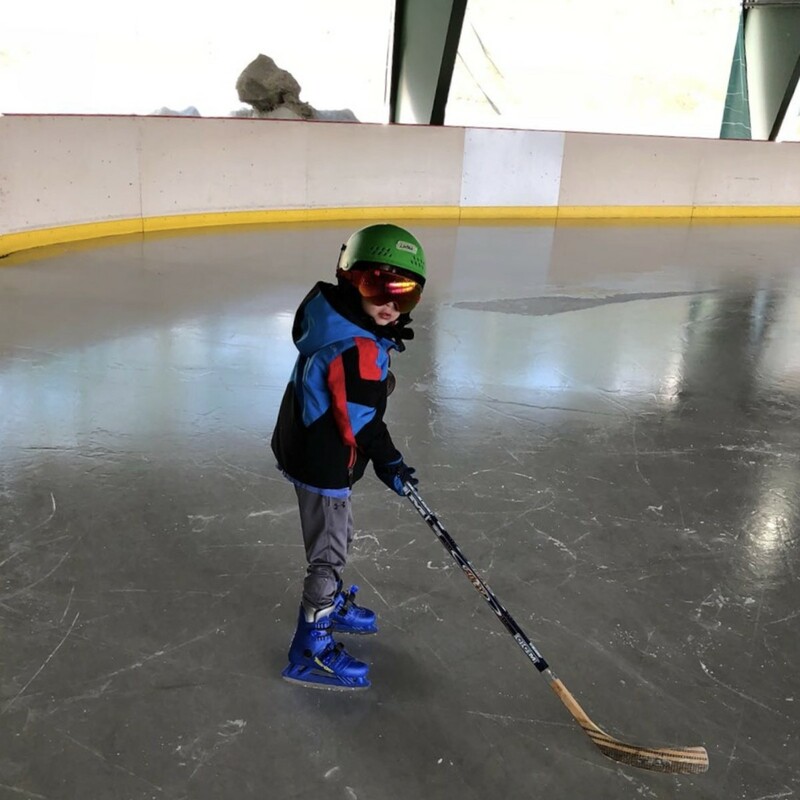 If the kids don&apos;t get all their energy out on the slopes, skating will do the trick! As if that&apos;s not enough, there&apos;s snowmobile tours, snowcat excursions, a fitness center, pool, spa, and arcade! Again, we could have easily used a few more days to do it all. 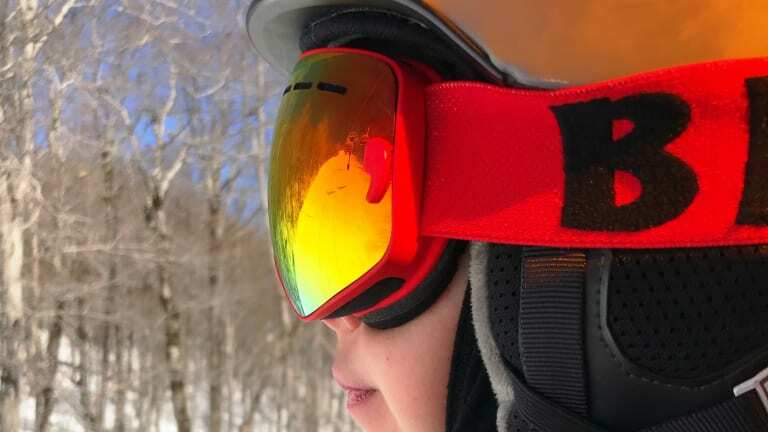 OKEMO SKI & RIDE SCHOOL & DAY CARE: Ski & ride classes are available at both of Okemo&apos;s two mountain bases. There are programs for children 3+ all the way to adult. 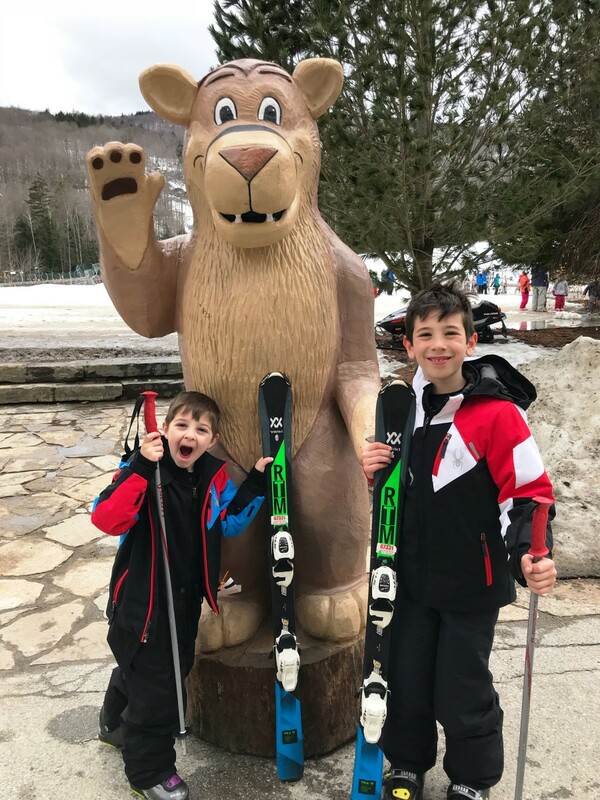 Rentals and ski school were steps from our room, making it convenient and easy to drop the boys for a day of fun and learning and pick them up. The instructors were lovely and I felt comfortable that the kids were in good hands. Lucas jumped an entire level this season! Leo took a private lesson one afternoon and really liked skiing with his encouraging instructor. For children 6 months to 4 years, there is a day care center at the Jackson Gore Village as well. 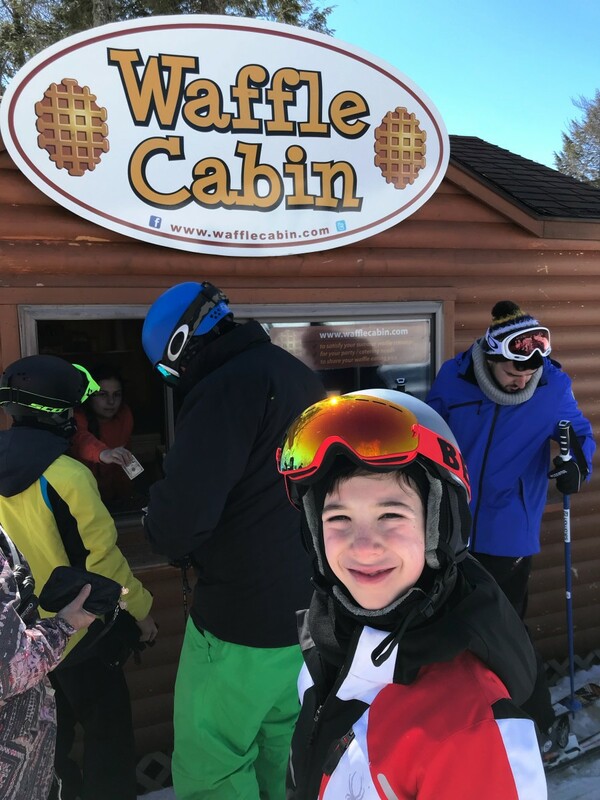 FOOD & DRINK: There&apos;s a long list of dining options at Okemo both at the bases and on the mountain. We ended up at Coleman Brook Tavern every night since it&apos;s conveniently located off the lobby of the Inn and has a great wine list (and s&apos;mores). Thursday night they offer half off bottles of wine (hello Napa Valley Silver Oak)! Another great memory is Hops on the Snow Beerfest, a one-day beer festival that was held on a sunny Saturday complete with a live band and BBQ. And of course the kids had their fix of chocolate drizzled waffles. Cabot Cheese provided us with a bag of snacks for the trip which we very much appreciated! Nothing like a little Vermont cheddar while in Vermont! “Okemo” is an American Indian word that means “all come home." The staff at Okemo Mountain Resort takes its name to heart and made us feel welcome every step of our visit. I wasn&apos;t sure how I&apos;d feel celebrating Easter on the road but the resort was so festive with daily activities, a church service, an egg hunt, and an Easter buffet brunch, making it our most memorable Easter as a family yet. 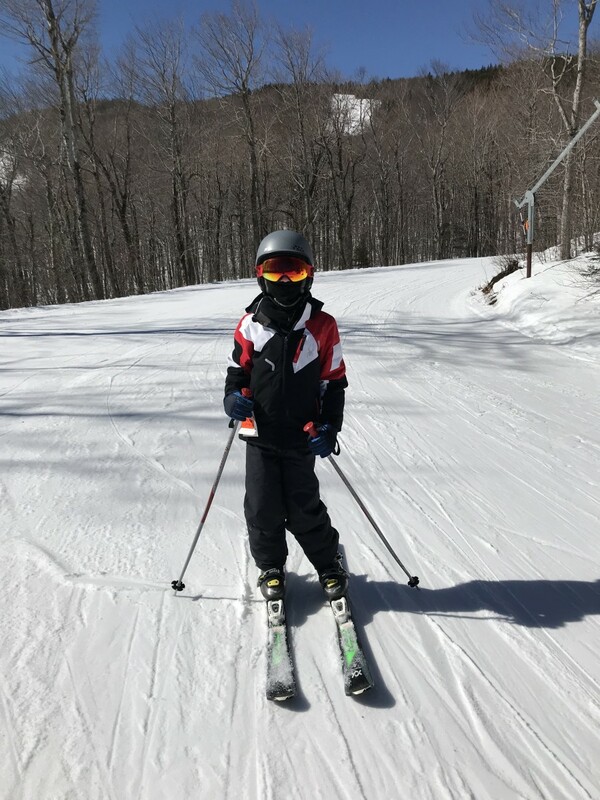 Okemo Mountain Resort has extended its ski season through April 22nd so it&apos;s not too late to get in your own spring skiing. For more information visit okemo.com. 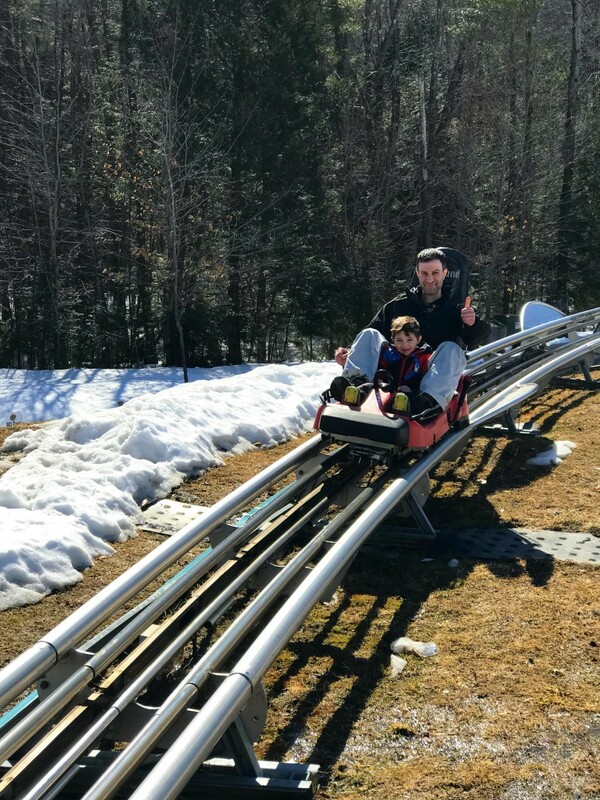 Thank you to Okemo Mountain Resort and Momtrends for hosting us! All opinions are my own.